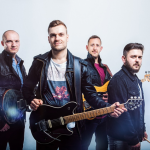 We are a professional, award-winning 4 piece wedding band based in Essex. We travel the UK rocking out at weddings, parties and corporate events, playing classic to modern indie / rock / pop chart hits. Murdoch Crazy Eyes. To the band, every show is like playing to a sold-out arena. They perform at the limit. Going through the motions isn't something MCE does. It's enough to make you forget you're watching a cover band. 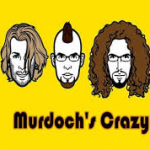 With the bands own top quality equipment, first class professional musicianship, and their own signature sound, hiring Murdoch's crazy eyes for your event isn't just having a band perform. It's having an all out professional concert. GO2 Entertainment are able to provide the very best for all your musical and entertainment needs for your Wedding or event. 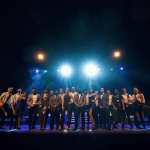 The GO2 team consists of professional musicians who have performed globally and that have come together to produce the highest level of live entertainment that exceeds our clients expectations resulting in unforgettable events with amazing atmospheres. Toast exists to provide you with outstanding entertainment performed by passionate and talented artists who share a genuine love for what they do. We blend this with service that's personal and always professional, ensuring your event (whatever the occasion) is a roaring success. We are based in Chichester in beautiful West Sussex and whether you’re getting hitched, planning a surprise birthday bash or looking to put your company’s name in lights, it all starts here. Call or email us to discuss your requirements - you may already have something in mind, or simply not know where to start - either way, don’t hesitate with any question. Whether you want classic tunes for that nostalgic touch or current hits with a vintage style, Corrinne has something for you. 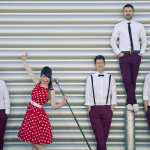 She specialises in all major strands of English and American music from the 1920's onwards, singing genres that include rock and roll, Chicago blues, jazz, soul, motown, folk, swing, bebop and boogie woogie blues or even modern day pop with a brassy yet sultry, vintage slur.oon!